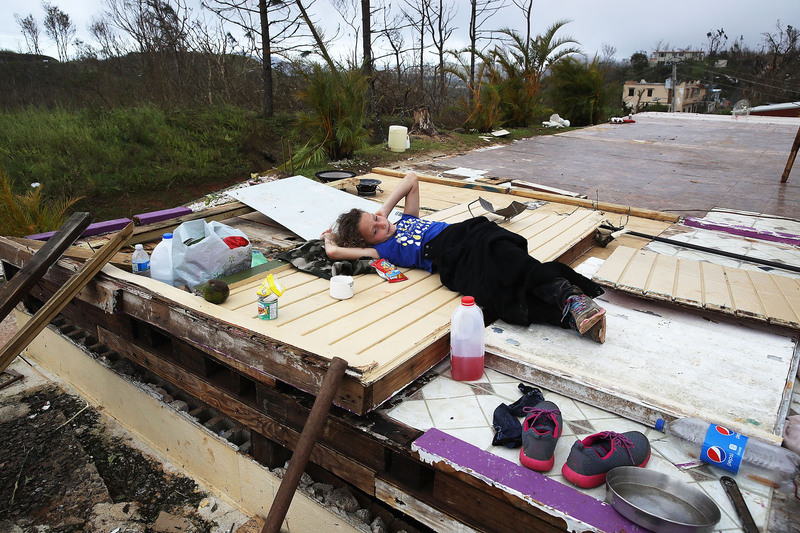 Federal rescue and aid missions in Puerto Rico ramped up Monday as horror stories from Hurricane Maria’s aftermath surfaced over the weekend. Administrator of the Federal Emergency Management Agency Brock Long touched down in Puerto Rico Monday as federal troops continue to deliver food, water and gas to the island. He called Maria the worst hurricane Puerto Rico has ever seen. Five days after Hurricane Maria struck, much of Puerto Rico is still in the dark without cell phone service, electricity, gas or access to cash, leaving many people stranded without essential supplies. The death toll reached 16 on Monday, according to government officials. “While significant progress is being made, there is still a long way to go,” a FEMA spokesperson said via email Monday. More than 10,000 federal emergency response workers are on the ground in Puerto Rico and the U.S. Virgin Islands, devastated by Hurricane Irma just weeks ago, doing search and rescue efforts and delivering aid. FEMA said search and rescue task forces have saved or assisted more than 500 people so far and delivered 1.5 million meals and 1.1 million liters of water. But horror stories shared on social media paint a different picture. Over the weekend and into Monday Puerto Ricans used Twitter and Facebook to draw attention to vulnerable elderly and sick people, and others stranded in flooded areas with no way to call for help. Armando Valdés said he and a group of volunteers visited a 14-story elderly home with 200 residents in San Juan on Sunday. He said both of the building’s elevators were broken and the group found people without food, water, and electricity, and no way to call 911. Nearly three-quarters of the island is without cell service, as officials work to repair damaged telecommunications towers, a government official announced Monday morning. Thousands of people are gathering in San Juan — which remains partially flooded — to try to use their cellphones to connect with loved ones. Others are camping out on suburban freeways to try to get a signal. San Juan Mayor Carmen Yulín Cruz said the worst of the damage from Hurricane Maria is yet to come. She estimates some hospitals may be without power for up to three weeks, while gas supplies for generators are dwindling.